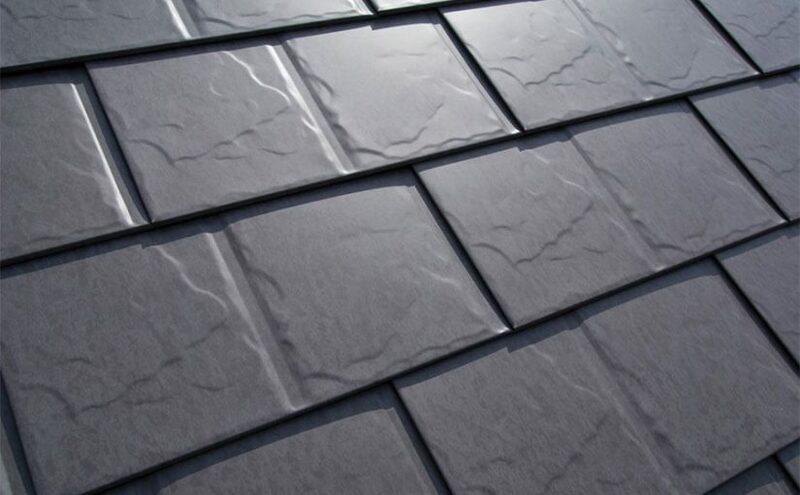 Slate roof shingles that has the look of traditional roof tiles. Traditional slate roofs are very expensive and is also very heavy; in fact some rafters may need to be reinforced. In my 48 years of experience in the metal roofing industry (21 years with Desoto, 10 years with Morton International, 6 years with BASF and 10 years with 3M), it is most unique to find a company who is constantly striving to provide roofing products that live up to claims that are being made to customers. The use of Alunar(r) coating systems, which have a superior record of color fastness, chalk resistance and literal fusion like adhesion is the finest coating system anyone can provide. 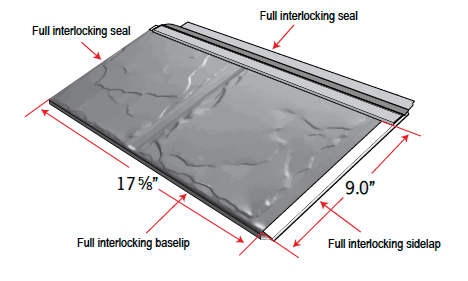 But, Interlock Roofing goes even further to employ the addition of a “Teflon” surface protector to the coating system, which no other company does. Teflon has been a trusted surface protector by homeowners for decades and you are now getting the utmost in performance from a company that cares.